John Dickinson was one of the most important members of the Founding Generation. Without him, there is no America. His impact was so great, that I found it impossible to abbreviate his life into just one article. So...I am issuing my first series! This is Part One for John Dickinson. You can find Part Two here. Would you consider someone a Founding Father if they refused to vote for independence in July of 1776? I know it feels like the answer is no. But the answer is most certainly yes. I present to you...John Dickinson. When one of the most prominent men in Pennsylvania told you there was a problem, you listened. Dickinson was this man. In 1767-68 he wrote a series of articles known as Letters from a Pennsylvania Farmer. These articles were the first influential arguments for the necessity of resisting British taxation that came from outside of Boston. He warned that if the colonists did not stand up for themselves, things would continue to get worse. 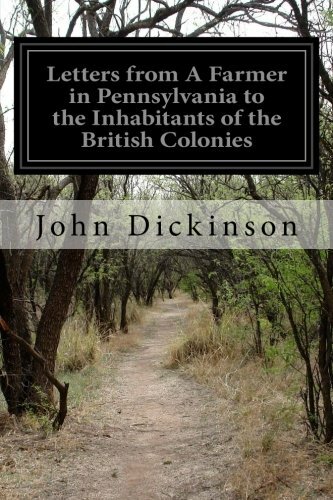 Dickinson was sent to the First Continental Congress to represent Pennsylvania where he signed the Continental Association, which called for a boycott of British goods. He was also the primary author of the Letter to the King. The intent of this letter was to appeal to the King for protection from the harsh laws being passed in Parliament. Although Patrick Henry and Henry Lee also wrote drafts of the letter, Dickinson’s version made up the bulk of the final version. When the Second Continental Congress met, hostilities had broken out in Boston. Dickinson was tasked with writing the Olive Branch Petition as a last chance at resolving the dispute with Britain. A year later the delegates were again meeting in Philadelphia. When Richard Henry Lee proposed to declare independence, the Congress decided to prepare three documents. The first document was a Declaration of Independence, famously prepared by Jefferson. The second document was a governing constitution; it became the Articles of Confederation. The third was a Model Treaty, to be used as a template when writing treaties with foreign nations. The author of the last two? You guessed it, John Dickinson. 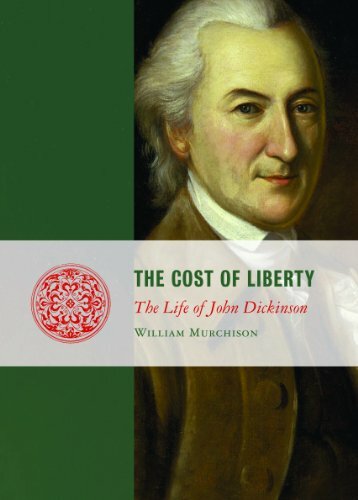 While the Declaration has gone down as one of the most influential documents in American history, Dickinson’s writings had a tremendous impact on the governing of the United States through its early years. Remember to follow us on Facebook or subscribe to our email list for more Founders every day.